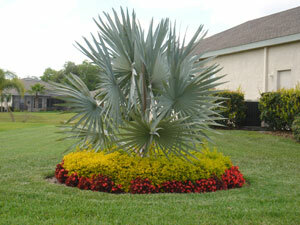 Evergreen Total Landscape has been providing expert landscape design to Tampa customers since 1983. Available for both commercial and residential properties, our landscape design service helps customers realize their dream exterior layout, whether they know exactly what they want or need some guidance and recommendations in the process. We’ll send out a certified landscape designer to assist customers with any questions and help them decide which colors and textures they wish to feature. Once the design process begins, we put our more than 25 years of experience to use in ensuring all plants and shrubs are placed in the ideal location with regards to sun exposure and soil conditions. This will allow all plants meet their full aesthetic potential and retain a freshly-planted look throughout the years. Once the design is completed and approved, we have a staff full of knowledgeable professionals who can perform the installation. Please contact us today to set up a landscape consultation. In addition to Tampa, we also provide service to customers in Lakeland, Clearwater, St Petersburg, and surrounding communities.